With little appearing to have changed after Sunday’s pipeline summit in Ottawa, the political dispute over Kinder Morgan’s Trans Mountain Pipeline continues to escalate. It makes February’s wine boycott sound cute. 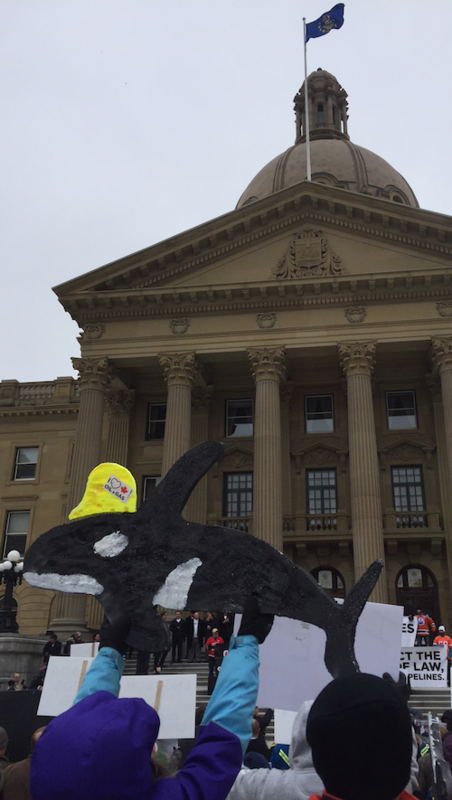 Use of the powers included in Bill 12 could have serious political and economic consequences for Alberta and BC. Ceasing the transport of oil and gas to BC could convince BC Premier John Horgan’s government to back down from its opposition to the pipeline expansion, but it could also backfire by escalating political tensions between the two provincial governments. There is a little bit of irony in the Alberta government granting itself the powers to slow down the shipment of oil and gas to BC. 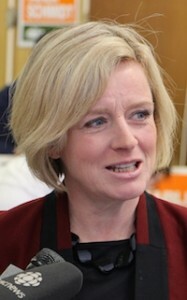 The BC government’s initial move to limit shipments of diluted bitumen 11 weeks ago, a move Notley then described as unconstitutional, is what escalated the current political dispute between the two provinces. 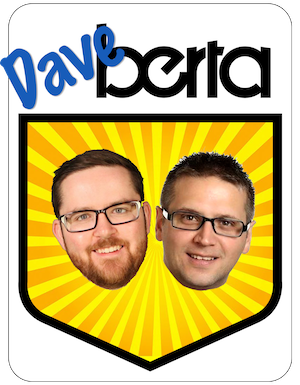 It is not clear whether Premier Rachel Notley‘s government would actually ever use the powers include in Bill 12. But at the rate this political dispute is escalating, I would not be surprised if McCuaig-Boyd started threatening to turn off the taps by next week. It feels very Lougheedian, but without the $100/barrel oil. Bill 12 will likely get unanimous support from the Jason Kenney-led opposition, leaving Alberta’s lone Liberal MLA as its only critic in the Assembly. 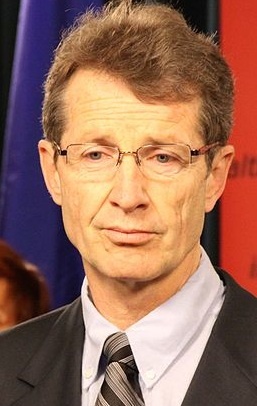 “The NDP Government wants extraordinary powers to interfere with the oil and gas industry but won’t provide specifics or limitations on those new powers,” said Calgary-Mountain View Liberal MLA David Swann, criticizing the the lack of details in Bill 12. 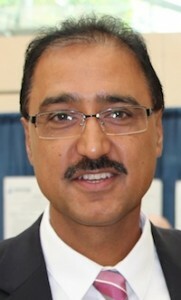 BC Environment Minister George Heyman says his government could take the Alberta government to court over Bill 12. 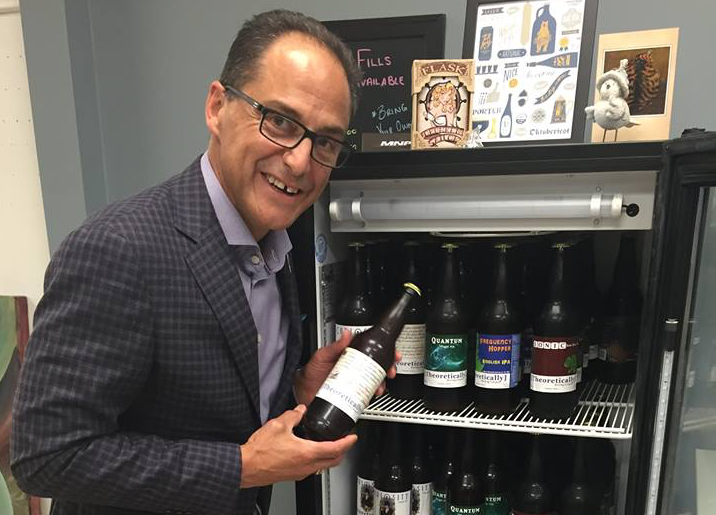 “I’m not counting on Alberta taking extreme or unlawful actions, but if they do, we’re prepared to defend British Columbia’s interests with every legal means available,” Heyman said. Hogan says his government will continue with its legal case to determine if the province has the jurisdictional right to stop the project. 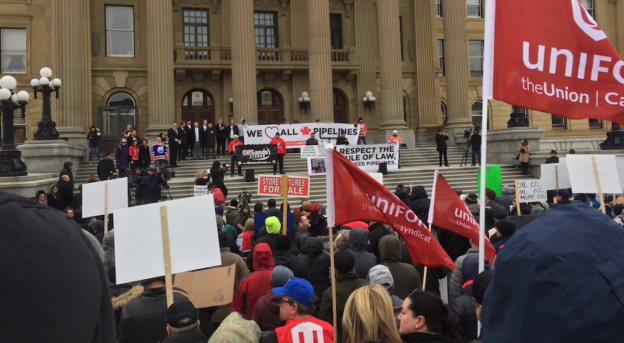 But it is unlikely the court will rule on this case before the May 31, 2018 deadline imposed by Texas-based Kinder Morgan Inc., which succeeded in generating a quick response from the Alberta and federal government. A political dispute, not a constitutional crisis or a broken country. 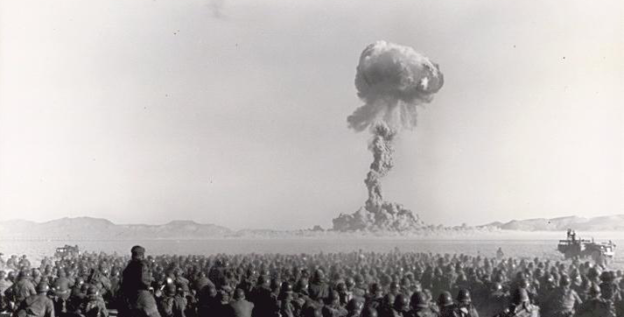 As the political rhetoric runs high, it is important to take a deep breath. We are not on the verge of a constitutional crisis, as Notley has suggested. The country is not broken, as Kenney suggested. And we do not need to call in the army to protect the pipeline from eco-terrorists, as former Alberta energy minster Rick Orman suggested on CBC radio this morning. 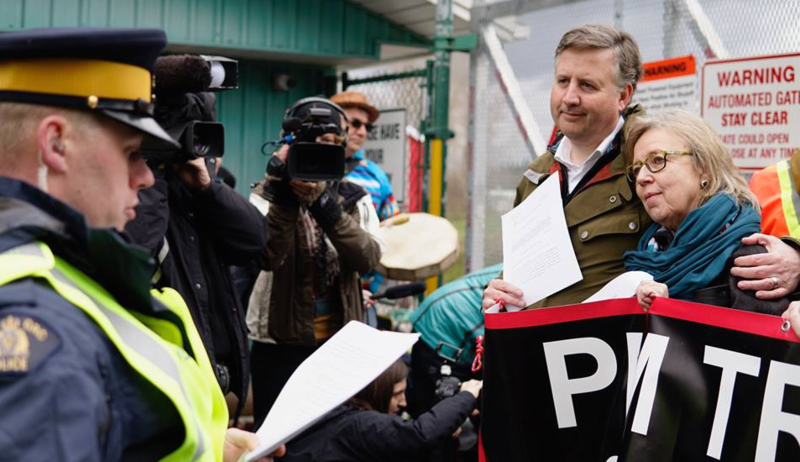 Meanwhile, Green Party leader and Sannich-Gulf Islands Member of Parliament Elizabeth May and NDP MP Kennedy Stewart face criminal contempt charges after entering a 5-meter ‘no-protest’ zone surrounding Kinder Morgan’s pipeline construction site on Burnaby Mountain. A conviction will not necessarily lead to the two MPs losing their seats in the House of Commons. Where a person is convicted of an indictable offence for which the person is sentenced to imprisonment for two years or more and holds, at the time that person is convicted, an office under the Crown or other public employment, the office or employment forthwith becomes vacant. This entry was posted in Alberta Politics and tagged Alberta NDP, Bill 12: Preserving Canada’s Economic Prosperity Act, Canadian Army, Constitutional Crisis, Elizabeth May, George Heyman, Jason Kenney, John Horgan, Justin Trudeau, Kennedy Stewart, Kinder Morgan Trans-Mountain Pipeline, Marg McCuaig Boyd, Pipeline Politics, Rachel Notley, Rick Orman on April 16, 2018 by Dave Cournoyer. 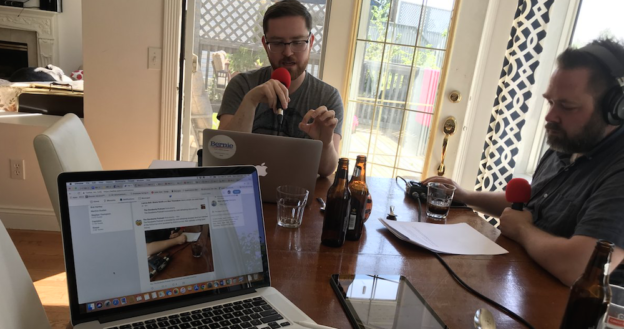 It was a busy Sunday afternoon in Alberta politics. The company plans to “consult with various stakeholders in an effort to reach agreements” by May 31, 2018. It feels like a big win for British Columbia Premier John Horgan and opponents of Kinder Morgan’s Trans Mountain Pipeline expansion. But this announcement by Kinder Morgan could also be part of a strategy to increase the pressure on Prime Minister Justin Trudeau to convince Horgan to back down from his opposition to the pipeline. 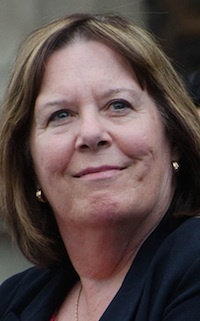 Kinder Morgan Inc. is the key player in this dispute but has remained largely silent in the public debate. But when the Texas-based company finally spoke this afternoon, all the political players jumped to attention. 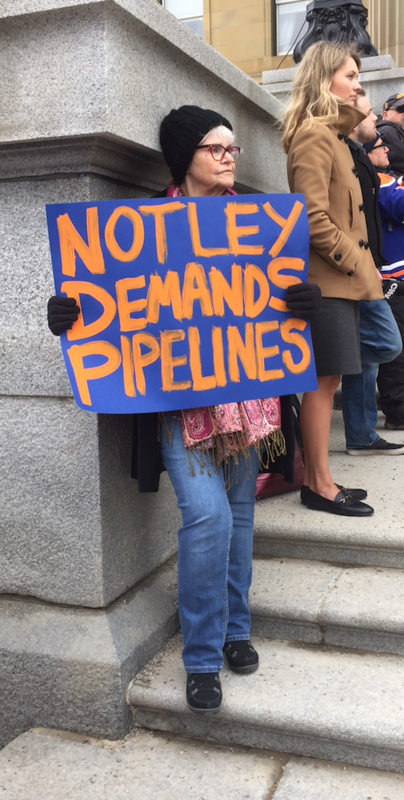 Notley responded to Kinder Morgan’s announcement with a message that is pitch perfect for Alberta-ears. 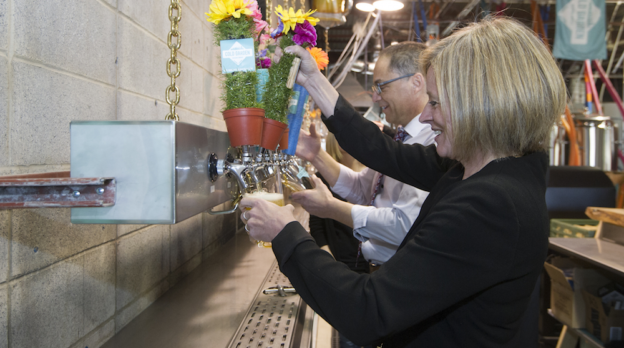 Notley called on Trudeau to stand up for Alberta’s interests as he has for economic interests in Ontario and Quebec. 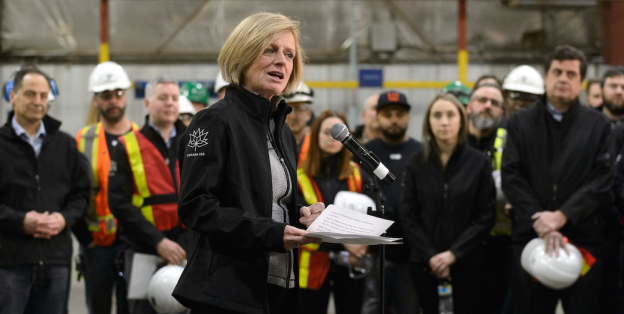 And in a move that will remind Albertans of Peter Lougheed, Notley went as far to say that “Alberta is prepared to be an investor in the pipeline” if opposition to the pipeline caused private investors to flee. Trudeau responded very clearly with a tweet declaring that “The Trans Mountain expansion will be built.” And federal Natural Resources Minister Jim Carr reinforced support for the pipeline in a written statement. All that said, it remains unclear what the federal government will do to stop what is mostly verbal threats by the BC government to stop the pipeline. In a statement released today, Horgan stated that “the federal process failed to consider B.C.’s interests and the risk to our province” – a sentiment that most Albertans might agree with on many other issues. But with the BC NDP government now trying to jump-start the west coast liquid natural gas industry, it seems clear that neither climate change or the transportation of natural resources are the actual reasons for opposing this pipeline. 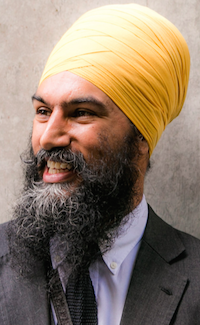 Creating political obstacles that could convince Kinder Morgan to lose interest in the project is part of Horgan’s strategy, and maybe one of the final tools in the now infamous ‘toolbox’ referred to in the 2017 Confidence and Supply Agreement between the BC Green Caucus and the BC NDP Caucus. 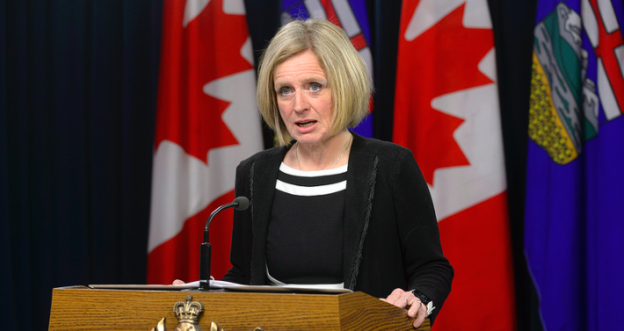 The Notley government is expected to introduce legislation giving the government the authority to limit oil and gas shipments to BC, a move that could have serious political and economic repercussions for Alberta, BC and Canada. I would imagine this drastic move by the Alberta government would provide some incentive for Trudeau to figure out how he might provide an opportunity for Horgan to gracefully save face on this issue. I expect this might not be the last time this never-ending political dispute makes big news on a Sunday afternoon. This entry was posted in Alberta Politics and tagged Alberta NDP, BC Green Party, BC NDP, Climate Change, Jim Carr, John Horgan, Justin Trudeau, Kinder Morgan Inc, Kinder Morgan Trans-Mountain Pipeline, Oil Pipelines, Peter Lougheed, Rachel Notley on April 8, 2018 by Dave Cournoyer.